A look at how Tom Brady may argue his upcoming Deflategate appeal against commissioner Roger Goodell and the NFL. New England Patriots quarterback Tom Brady will make his appeal to NFL commissioner Roger Goodell on Tuesday that his four-game suspension for an alleged role in the Deflategate controversy is unwarranted and excessive. Brady, flanked by his attorney, Jeffrey Kessler, has a right under Article 46 of the league’s collective bargaining agreement to a hearing. Brady has exercised this right, a necessary step if he later decides to take the NFL to federal court: Brady must exhaust his internal NFL appeals before a judge would be willing to consider his case. Below I break down the key issues at play and how Brady could ultimately take his appeal to court. Brady’s appeal will take place in the NFL’s headquarters in Manhattan at 9:30 a.m. on Tuesday. It will be conducted in private and its participants will be instructed to avoid sharing information with media about what transpires. There will be about a dozen people at the hearing. Among the participants: Brady, Kessler, Goodell, NFLPA general counsel Tom DePaso, NFL general counsel Jeff Pash and Ted Wells, the principal author of the “Investigative Report Concerning Footballs used During the AFC Championship Game on January 18, 2015” (Wells Report). If the hearing is not over by the end of business on Tuesday, the participants will continue their discussions on Thursday. While the hearing will be tense, it will seem more like a meeting than a trial: The hearing will occur in a conference room rather than a courtroom and the two sides will be seated and will face each other on opposite sides of a round table. This is a dramatically different setting from a trial, where the parties sit at different tables, face the judge (rather than each other) and only interact with one another through carefully designed procedures. Goodell will direct the hearing, which will consist of fluid conversation as much as formal questioning. This highlights another difference from a trial, where attorneys often interrupt witnesses by raising assorted objections to the judge. In arbitration, in contrast, there are fewer interruptions and more opportunities for sustained discussion and give-and-take. Brady will answer questions posed by Goodell and other NFL officials, while Kessler will pose questions to NFL officials and Wells. ESPN’s Adam Schefter reports that Brady will testify under oath during the hearing. Witnesses in arbitration hearings can elect to testify if the parties agree—Goodell, for example, testified during Ray Rice’s hearing in November 2014. By testifying under oath, Brady creates a serious legal risk for himself: He could face criminal charges for perjury if it is later proven (by a prosecutor, not Goodell) that he knowingly lied. At the same time, Brady sends a powerful message that he’s willing to risk criminal charges to prove that he is innocent of the allegations. A transcript of Brady’s hearing will be created, but it will not be immediately available to the public. The transcript could become public as a court filing should Brady later sue the NFL. It is also possible, if not probable, that the transcript to Brady’s hearing or at least portions of it will be leaked to media. Attorneys for Brady, the NFLPA and NFL will also be taking notes during the hearing. Those notes could later prove important: Recall that NFLPA attorney Heather McPhee’s notes from Ray Rice’s August 2014 meeting with Goodell served as crucial evidence in former U.S. District Judge Barbara Jones’ decision in Rice’s favor. It is not expected that either Jim McNally or John Jastremski, the two Patriots employees accused of carrying out the ball deflation conspiracy, will participate in Brady’s appeal. It is possible, however, that they or others might provide sworn statements that can be used in the hearing. Rules of evidence and procedure in the hearing will be relaxed when compared to those in a trial. Brady, for instance, will be able to cite the recent American Enterprise Institute (“AEI”) report that to some degree debunks the Wells Report, along with other materials prepared by third parties that rebut the NFL’s accusations. Brady, moreover, will not be obligated to share his cell phone, text messages or other personal belongings during the hearing. There is no power of subpoena in arbitration hearings, nor can witnesses be compelled to testify under threat of contempt of court. On the other hand, the NFL can submit hearsay evidence against Brady that might be inadmissible in a trial. Goodell has also discretion to judge the evidence and testimony as he sees fit. For instance, if Goodell is left unsatisfied by Brady’s responses to questions about ambiguous text messages, Goodell can hold Brady’s answers against him. Flexibility in arbitration advantages and disadvantages both sides. It is safe to assume that Brady and Kessler have spent considerable time over the last week going over questions likely to be posed by Goodell. Brady has probably conducted several mock “question and answer” sessions where Kessler or his associates evaluate Brady’s responses to a wide range of questioning. 1) Give detailed and organized responses. A detailed response indicates a willingness to engage a topic and an organized response is easier to follow and often persuasive. For example, Brady will likely attempt to explain away suspect text messages by insisting that he never instructed Patriots employees to deflate footballs lower than the permissible 12.5 PSI level. He might further explain that he prefers his footballs be inflated towards the lower-end of the 12.5 to 13.5 PSI level and that perhaps atmospheric conditions during the AFC Championship Game caused a football at the lower-end of the permissible levels to fall beneath 12.5 PSI. Brady might also speculate that perhaps Jastremski deflated the footballs a little too much. These types of explanations would show sufficient detail and would provide a set of facts that helps to clear Brady. If Brady instead speaks in generic platitudes or jumps around in his train of thought, Goodell will be less likely to vacate or reduce the suspension. 2) Avoid contradictory or inconsistent responses. Brady must avoid contradicting himself, especially on matters of importance. Contradictions by witnesses can undermine otherwise persuasive testimony. Brady will be likely asked many questions on Tuesday and he will need a firm grasp of the facts to steer clear of inconsistent answers. 3) Avoid statements that could be disproven. Brady must also avoid statements that he could genuinely believe are correct but are compromised by other persons’ text messages or statements. If there are sworn statements by McNally or Jastremski, Brady’s answers need to be consistent with those declarations. As explained above, Brady testifying under oath only raises the legal stakes for accuracy and honesty in his testimony. Do not expect a decision from Goodell on Tuesday. The commissioner is only obligated to render a decision “as soon as practicable,” a flexible standard that accords him wide latitude on timing. Goodell and his advisors will likely take their time over days if not weeks. He surely knows that if he does not lift Brady’s suspension, there is a strong possibility that Brady will petition a court to vacate or restrain the suspension; Brady might also file a defamation lawsuit against the league. Language used in Goodell’s arbitration decision would be a key source of evidence in any legal challenge by Brady. Goodell will thus proceed cautiously and craft a decision that best insulates him and the NFL from legal challenge. The timing of Goodell’s decision might also be dictated by a desire to minimize associated media coverage. If the NFL publishes his decision at 4:30 p.m. on Friday, July 3, it is safe to assume the NFL sought a publication time when many will be traveling, offline or away from televisions. In such a scenario, the decision would become last week’s news by the time people get back to work after the holiday weekend. Goodell will use the hearing to determine if the justifications for Brady’s four-game suspension remain valid, and if a four-game suspension is an appropriate sanction. Brady, in turn, will attempt to disprove the justifications and also frame the suspension as grossly inconsistent with precedent of NFL player punishments. Kessler will portray this justification as unwarranted. He will do so in part by arguing that Deflategate is an imaginary scandal premised on debunked science. Along those lines, Kessler will pose difficult questions to Wells in hopes that Wells appears confused by the science or that he becomes defensive about inferences he and his associates made in his report. In a press conference call on May 12, 2015, Wells appeared agitated by journalists’ insinuations that his investigation was flawed. Kessler will be even more aggressive on Tuesday in trying to undermine Wells. To further advance this strategy, Kessler will also highlight recent studies that raise serious questions about the science behind the Wells Report. For instance, AEI and Science News—two entities with no apparent ties to the NFL, Patriots or Brady—contend that atmospheric conditions are far more likely the cause for deflated footballs than are nefarious actions by Patriots employees. These and other reports also criticize the lack of reliable evidence for drawing incriminating conclusions. NFL referees, for example, used two different gauges with conflicting readings to measure the air pressure of the footballs before and during the AFC Championship Game. For unknown reasons, no one recorded which gauge was used before the game started. Both teams’ footballs, moreover, measured out as deflated at halftime, with 11 of the 12 of the Patriots and three of the four Colts’ footballs registering below 12.5 PSI. It thus appears that the Patriots and Colts used underinflated footballs, a finding that seems more likely the result of weather than both teams surreptitiously deflating footballs. Crucially, if Deflategate never occurred, then Brady’s awareness or lack of awareness about the conduct of Patriots employees would be rendered meaningless. The problem for Kessler in trying to debunk the existence of Deflategate is that Goodell may have an incentive to see that it occurred. Remember, Goodell severely punished the Patriots on grounds that Deflategate actually took place. Despite professing his team’s innocence, Patriots’ owner Robert Kraft declined to challenge Goodell’s punishment of forfeited first and fourth round picks and $1 million fine. Kraft reasoned that a battle between the Patriots and Goodell would undermine the best interests of the league and its association of teams. Attorneys for Kraft likely also advised him of limitations for NFL owners in going to court to challenge league punishments. If Goodell now concedes that the underlying controversy—an alleged plot to deflate footballs so that they are slightly easier to catch—never took place, Kraft would be justified in asking, if not demanding, that Goodell reconsider the NFL’s punishment of his franchise. 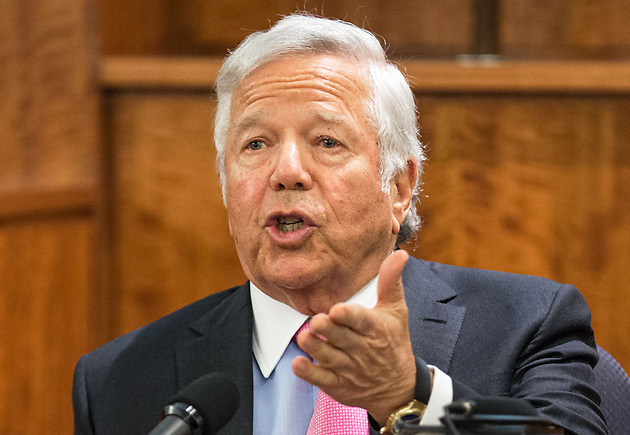 Kraft would also have more compelling grounds to threaten a lawsuit, since a league punishment based on a discredited controversy could be readily portrayed as arbitrary and capricious in court. Brady also took the unprecedented step of inviting Jastremski to the QB room (essentially Brady's office) in Gillette Stadium on January 19 for the first and only time that Jastremski can recall during his twenty-year career with the Patriots, and Brady sent Jastremski text messages seemingly designed to calm Jastremski (“You good Jonny boy?”; “You doing good?”). The implication from this passage is that the day after the Deflategate controversy surfaced, Brady acted unusually and suspiciously in his interactions with team staff. At no point, however, is there actual evidence of Brady directing others to deflate footballs in violation of NFL rules. Instead, Wells interpreted the text messages to reach a conclusion that, more probably than not, Brady had “general awareness” of others breaking the rules. Kessler will assert that the most damning evidence against Brady requires assumptions, extrapolations and guesswork. While “general awareness” is a low bar, Kessler will insist that at no point in Wells’ 234-page report is there proof that Brady broke NFL rules. To counter this accusation, Kessler will stress that Brady willingly met with Wells and other investigators and fully answered their questions. Kessler will also argue that privacy concerns played a decisive role in Brady’s unwillingness to share electronic evidence. Along those lines, Kessler will raise doubts that the so-called “extraordinary safeguards” to protect Brady’s personal information would have proven effective. There have been numerous leaks to the media concerning Deflategate and Brady may have worried that his personal information—which could have included information about family members’ health and other private topics—might have been leaked. Kessler realizes that Goodell might not be persuaded of Brady’s innocence. As a secondary legal argument, Kessler will contend that even when he’s viewed in the worst light possible, Brady does not deserve a four-game suspension. This is a lengthy suspension that stigmatizes Brady. It is also a costly suspension: according to Robert Raiola, senior manager in the Sports & Entertainment Group of the accounting firm O'Connor Davies, LLP, Brady will lose $470,588 in wages for every suspended game, meaning Brady stands to lose $1,882,353 altogether. Kessler will likely ask Goodell something along the lines of, “If Brady had been cooperative in the investigation but you still found him at fault for general awareness, what would his penalty have been?” If Goodell’s answer is a suspension for fewer than four-games, Kessler would then assert that the lower suspension should be the maximum Brady faces. Otherwise, Kessler can assert, Brady would be receiving a game(s) suspension for the same infraction that only cost Favre $50,000. Kessler will also highlight that, according to the NFL Game Operations Manual, the underlying infraction of a football in violation of the PSI air pressure rule only triggers a modest $25,000 fine. He will do so to portray the underlying offense as relatively trivial and ill suited for a suspension. There is a good chance that Brady will avoid going to court. If Goodell vacates the four-game suspension in its entirety, Brady would not pursue a legal recourse. The 37-year-old quarterback would instead turn his attention to the 2015 season. He would likely have little to say about Deflategate ever again. Brady might also decline to challenge Goodell in court if the commissioner reduces the suspension to one game. Brady might reason that a reduction from four games to one game would essentially constitute a victory. Brady would seem particularly disinclined to challenge Goodell in court if a reduced suspension is accompanied by language that clears Brady of gaining an unfair advantage. For instance, Goodell might reduce the suspension and express that the diminished suspension reflects only Brady’s lack of cooperation in an NFL investigation rather than efforts to break a game rule. The NFLPA might nonetheless encourage Brady to sue. The NFLPA understandably wants to avoid a precedent whereby Goodell can suspend a player for being uncooperative. Brady’s decision to pursue a legal challenge, however, will be his and his alone. If Brady’s appeal to Goodell does not result in an acceptable outcome, Brady would seriously consider taking the NFL to court. But before doing so, Brady would be advised that a legal strategy could take months to play out and might even spiral into 2016. The court system would not accelerate its review merely because Brady and Goodell are high-profile individuals or because millions of fans (and many casinos, sports bettors and fantasy players for that matter) are deeply interested in whether or not Brady plays. Brady would be treated like anyone else pursuing relief through the courts: he’d have to wait in line for his turn. Many judges, moreover, take time off over the summer, which generally leads to a slower summer court schedule. This could pose additional delay for Brady if he pursues a legal strategy. The length and continued uncertainty of Adrian Peterson’s legal challenge is instructive for Brady as he weighs his options. Last November, Goodell suspended the Minnesota Vikings running back after he pleaded no contest to a misdemeanor charge stemming from excessive child discipline. Peterson then appealed the suspension under Article 46 of the CBA, but NFL arbitrator Harold Henderson sustained the suspension in an arbitration award. In January, the NFLPA (on behalf of Peterson) petitioned U.S. District Judge David Doty to vacate Henderson’s award. In February, Judge Doty vacated the suspension and ordered the NFL to reinstate Peterson. Judge Doty’s order has been correctly portrayed as Peterson defeating the NFL in court. But the victory could prove short-lived. The NFL has filed an appeal to the U.S. Court of Appeals for the Eighth Circuit. Both Peterson and the NFL continue to wait for the Eighth Circuit to make a decision. If the Eighth Circuit sides with the NFL, the league could suspend Peterson once again and jeopardize his eligibility to play in the 2015 season. With Peterson’s timeline in mind, consider the possibility of Brady convincing a federal district judge to vacate or enjoin Goodell’s suspension. The good news for Brady is that such an order would likely be issued by the end of August. Brady would then be eligible to play in the Patriots season opener against the Pittsburgh Steelers on September 10, 2015. The bad news for Brady is the NFL would surely appeal to a federal appeals court, which months later—and possibly in 2016—could reverse the district court in favor of the NFL. The NFL would then reinstitute Brady’s suspension. This means that instead of missing the first games of the 2015 regular season, Brady would miss later games. In theory, those “later games” could be playoff games or games to start the 2016 regular season. Despite these potential drawbacks, Brady could still go to court. The source of his legal challenge would be Goodell’s ruling on Brady’s appeal. Goodell will be acting as an arbitrator and his ruling will be considered an award. It may seem odd that Goodell is the arbitrator for an appeal of a suspension that he sanctioned, but Article 46 of the CBA clearly gives Goodell the power to suspend players and review appeals of those suspensions. As a member of the NFLPA, Brady assents to this arrangement. Brady would therefore need to offer a legal theory in court that overcomes language negotiated by his own union. As explained more fully in another SI.com article, Brady could follow the roadmap of Peterson—whom Kessler also represented—in arguing to a federal district judge that the NFL has violated what’s known as the “law of shop.” The “law of shop” refers to longstanding customs and practices that require fairness and consistency. Peterson persuaded Judge Doty that the NFL applying a new and more disciplining domestic violence policy to conduct committed at a time of a weaker policy violated the law of shop. The NFL, Judge Doty reasoned, cannot retroactively apply policies since to do so would be fundamentally unfair. Brady can’t utilize Peterson’s argument against retroactive application of new rules because that logic doesn’t apply to Brady’s situation. Brady’s punishment reflects rules that have been in place for years. But Brady can cite case precedent where courts have rejected the NFL commissioner serving as an arbitrator despite collectively-bargained and other contractual language empowering the commissioner to serve as an arbitrator. For instance, in 1991, New York Judge Herman Cahn barred then-NFL commissioner Paul Tagliabue from serving as an arbitrator in a dispute over players’ pay. In Joe Morris and Mickey Shuler v. New York Giants, Judge Cahn concluded that when the NFL commissioner “has an inherent interest in the outcome of the dispute,” he is “biased” and “should be replaced by a neutral and impartial arbitrator.” Judge Cahn reached this conclusion despite contractual language authorizing the commissioner to serve as an arbitrator in this type of dispute. Brady would construct a similar theory. He would argue that Deflategate implicates Goodell’s job performance as commissioner in a number of ways. Borrowing language from Judge Cahn, Brady might allege that Goodell “has an inherent interest in the outcome of the dispute.” Brady would thus contend that Gooodell was conflicted out and he should not have served as the arbitrator. What types of specific points would Brady raise to argue that Goodell had a legal obligation to step aside? For starters, Goodell is in charge of NFL referees who, as explained above, oddly didn’t record which pressure gauge was used to measure PSI levels of the footballs before the AFC championship game. Similarly, various criticisms have been leveled against Goodell for questionable NFL procedures for data collection. In recent months, some scientists have opined that these procedures are incompatible with core principles of science. Brady could also cite media leaks from “league sources” that spread erroneous information about Deflategate and fanned the flames (for example, the leak that 11 of the Patriots 12 footballs were “inflated significantly below the NFL's requirements”). Goodell also reportedly spent millions of league dollars to Wells and his law firm, Paul Weiss, to investigate Deflategate. This could make it awkward for Goodell to now reject Wells’ conclusions. Last but not least, the Patriots’ Wells Report in Context suggests that the league prejudged the Patriots to be at fault. Brady would also take aim at Goodell punishing him based on questionable standards. The Wells Report assigned blame based on the “more probable than not” or preponderance of evidence standard. This is the standard typically used in civil litigation in the United States. Wells used this standard because the NFL’s Policy on Integrity of the Game and Enforcement of Competitive Rules required that he use it. There is no debate that “more probable than not” was the appropriate standard for judging the Patriots as a franchise. Brady, however, could highlight that the “more probable than not” standard was not collectively bargained with the NFLPA for judging allegations against players. While the Policy on Integrity of the Game and Enforcement of Competitive Rules may be considered incorporated by reference into the CBA, the Policy is a document authored by the league rather than by both the league and players. The “more probable than not” standard is thus not necessarily appropriate for judging Brady. • Roundtable: Which AFC West team has the best shot at the Broncos? In addition to attacking the “more probable than not” standard, Brady would likely cite the absence of a formal requirement that he share his private cell phone or its contents in a league investigation. Brady was bound by general contractual requirements of good character and cooperation, and this language could be interpreted to require Brady to share his phone or its contents. But Brady could contend that a legal requirement that a player share a personal belonging with the NFL compromises that player’s privacy rights. Such a requirement, Brady would assert, needs to be explicitly stated in the player’s contract or the CBA. Brady is unlikely to ever appear in a trial against the NFL. Trials take a long time to occur, and a trial for Brady v. NFL or Brady v. Goodell would not take place for many months, probably not until 2016 or beyond. In most cases the parties resolve their dispute long before a trial. However, a hearing (as opposed to a trial) involving Brady’s legal arguments could occur this summer. Brady’s attorneys would do the actual arguing in court. Brady’s attorneys would seek to convince a federal court to vacate Goodell’s arbitration award, which would essentially mean the award is reversed or eliminated. While Judge Doty vacated Henderson’s award in the NFL’s favor for Peterson, judges rarely vacate arbitration awards. This is mainly because federal courts accord arbitration awards high deference. Brady would also petition that, in the alternative of the award being vacated, the court temporarily restrain the NFL from carrying out the award. Brady would contend that he would suffer irreparable harm if he misses certain games since those games will never be played again. In seeking a restraining order, Brady would sign a sworn affidavit under penalty of perjury outlining his side of the story. Brady would not need to share his text messages and other evidence until a later stage in the litigation process, specifically after pretrial discovery is ordered. The same is true of NFL emails and other evidence that potentially could reflect poorly on the league. Brady has another possible legal card at his disposal. He could sue Goodell, Vincent and Wells for defamation. Brady would argue that he has been defamed by accusations against him. Former New Orleans Saints linebacker Jonathan Vilma sued Goodell for defamation for allegations made against him in the Bountygate report. While a federal judge ultimately dismissed Vilma’s lawsuit, the lawsuit likely aided Vilma in convincing former NFL commissioner Paul Tagliabue, acting as an arbitrator, to vacate Vilma’s season-long suspension. It is unlikely Brady would file a defamation lawsuit. For starters, a trial for a defamation lawsuit would not occur until long after he served his suspension. As a result, his only remedy if he prevailed would be monetary damages. Brady, whose net worth is thought to be in the ballpark of $120 million, seems unlikely to wage a lengthy legal battle for the promise of monetary damages. Second, Brady is a public figure, which is a negative in a defamation lawsuit. A public figure must not only prove a statement is false and harmful, but that the statement was made with actual malice (meaning intentionally or with knowledge). Lastly, Brady would be subject to pretrial discovery if he sues for defamation and if the lawsuit is not dismissed. Pretrial discovery would likely involve a court order that Brady turn over the text messages and emails that he would not share with the NFL. Goodell is hard to predict, but if I had a crystal ball, I predict that Goodell will lower Brady’s suspension to one game and that Brady will not challenge it in court. 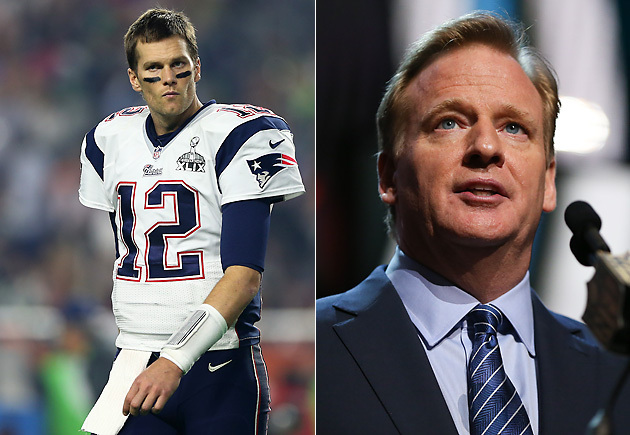 Neither Goodell nor Brady wants to go to court. Consider the NFL’s position. Evidence continues to emerge suggesting that Deflategate is a story about atmospheric conditions rather than human misconduct. This is particularly worrisome for the NFL given that the league’s severe punishment of the Patriots is premised on Deflategate being about human misconduct. For his part, Brady seems unwilling to share text and emails that could surface in a legal challenge. Brady would also risk losing in court. A loss would give his critics new material to attack him and would be part of his legacy. A reduced suspension to one-game seems like a compromise that would work for all involved. Michael McCann is a Massachusetts attorney and the founding director of the Sports and Entertainment Law Institute at the University of New Hampshire School of Law. In the fall 2015 semester, he will be teaching an undergraduate course at UNH titled “Deflategate.” McCann is also the distinguished visiting Hall of Fame Professor of Law at Mississippi College School of Law and he will be teaching “Intellectual Property and Media in Sports Law” at the 2015 Oregon Law Sports Law Institute.